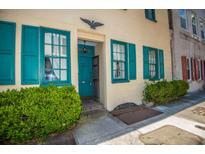 Below you can view all the condos for sale in the French Quarter subdivision located in Charleston South Carolina. 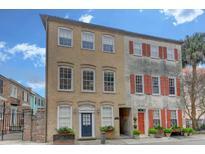 Listings in French Quarter are updated daily from data we receive from the Charleston multiple listing service. To learn more about any of these condos or to receive custom notifications when a new property is listed for sale in French Quarter, give us a call at 843-306-2224. The home has a private courtyard and a rooftop deck. NO HOA ! MLS#19009695. Carolina One Real Estate. If square footage is important - MEASURE! ! MLS#19009128. Carolina One Real Estate. Just off of the bedroom area is a bathroom with walk-in shower.The location is ideal as you are walking distance to the iconic King Street shopping area, Waterfront Park and all of the galleries, restaurants and theaters Downtown Charleston has to offer. MLS#19007323. The Cassina Group. From the marble floors and the distressed mirrored walls in the foyer to the hand-planed cherry wood flooring in the living spaces, this is a luxe abode.Soaring 10-foot ceilings, floor-to-ceiling windows and vast open plan MLS#19005988. King And Society Real Estate. Easy to access and show--Seller open to discuss furnishings if desired. MLS#19005945. Carriage Properties Llc. All new windows since initial sale. MLS#19005947. Carriage Properties Llc. An updated and charming European kitchen MLS#19005439. The Boulevard Company, Llc. The Queen Street Playhouse, Philadelphia Alley and the French Huguenot Church are all located on the same block with Waterfront Park just down the street.Originally constructed in 1806, 23 Queen St. boasts many original features such as period floors, wall paneling and wood burning fireplace.There is an attic area for additional storage above the unit which is accessed by stairs in the main stairwell. MLS#19004192. Dunes Properties. Located on one of the most picturesque blocks in the ''old'' historic district, views of St. Phillips steeple, steps from the Dock Street Theater. A true French Quarter gem. MLS#19002365. Carriage Properties Llc. A street parking decal may be purchased at the City of Charleston Parking Department for $40. MLS#19001507. Lois Lane Properties. This condo is situated in the rear of the building, and is quiet and bright, but away from the hustle and bustle of the street. Secured entry. 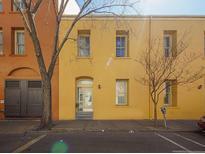 MLS#19000806. The Boulevard Company, Llc. This property was completely redone just a few short years ago and it certainly shows...combining great style with the perfect location, 182 East Bay is not to be missed! MLS#18031717. Applegate Real Estate. If Exact Square Footage Is Important, Measure. MLS#18029098. Handsome Properties, Inc.. Behind the Philip Simmons designed wrought iron gates, its focal point is a cascading Water MLS#18028128. Charleston Premier Properties. The # of BR and Baths is potential not actual. MLS#18024801. Clement, Crawford & Thornhill. Spa-like bathroom features exposed brick wall, soaking tub, MLS#18014117. Hudson Phillips Properties Charleston Llc. A soundproof wall was added in the bedroom and custom wallpaper complements the chandelier and its medallion. MLS#17031695. Coldwell Banker Residential Brokerage.